Robert Allen Iverson obituary. Carnes Funeral Home. Robert Allen “Robbie” Iverson, a father, brother, uncle and friend, died unexpectedly on November 18th, 2018 at his residence in Freeport, Texas. He was 61 years old. Robert was born on January 3, 1957 in Landstuhl, Germany to Glenn Ralph Iverson and Rosa Maria Gebhardt. As a young child he lived abroad with his family in Germany and The Netherlands. Thereafter the family relocated to Schertz, Texas where he spent the remainder of his childhood and young adult life. Robert attended Samuel Clemens High School in Schertz, Texas and in 1975 he enlisted at Randolph Airforce Base where he served as a Fuel Specialist until his discharge in 1979. Robert was a Production Manager for several years working for San Antonio American Printers, San Antonio, Texas and Time Warner Company, Louisville, Kentucky. In his later years he worked as Disaster Housing Inspector for Parr Inspections. 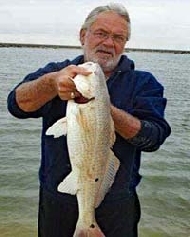 Robert retired early and decided it was time to “Go Fishin”, so he moved to Freeport, Texas where he enjoyed the last 10 years of his life on the beach, fishing and spending time with his dogs. He is preceded in death by his parents and his sister Karen. Robert is survived by his daughter Amy Jeane, of Red Bud, Illinois; son, Glenn Robert of Houston, Texas; brother, Ronald Steven and wife Sandra of New Braunfels, Texas; niece and nephew, Danna Lynn and Travis Stephen. He will be missed by his family, friends and all who knew him, especially his dogs “Buster” and “Mollie”. A private ceremony will be held at a later date at Houston National Cemetery. The family requests that in lieu of flowers and condolences you spend time with your family, take a walk on the beach with your loved ones, toast to enduring friendships, lifelong and beyond or do an unexpected and unsolicited act of kindness in memory of Robert.